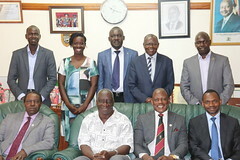 As part of its strategy to increase visibility of RUFORUM’s operations, with support from the University of Namibia, RUFORUM trained nine reporters during the recently concluded 11th Annual General Meeting (AGM) held 25-29 August 2015 in Namibia. With the network’s growth to now 55 member universities across Africa, it is increasingly important to engage Social Media Reporters (SMRs) in each member country to promote the network’s visibility and vibrancy online. This is being done through training young African Social Media Reporters in the use of social media for reporting and documenting issues emerging from Higher Education in Africa. Through this continued advocacy and working with our member universities, RUFORUM have trained 24 Social Media Reporters in Mozambique, Sudan, Namibia and 19 RUFORUM Staff to support this initiative. During the opening ceremony of this training, the RUFORUM Executive Secretary Professor Adipala Ekwamu encouraged the young reporters to take this training as an opportunity to engage and network with others in the RUFORUM Network and globally. “It is my wish that after this training, you will be equipped with skills that will empower you to not only report for this Annual General Meeting but also that you will join the pool of Young Social Media Reporters to communicate about Higher Education Issues in Africa to the global community”. 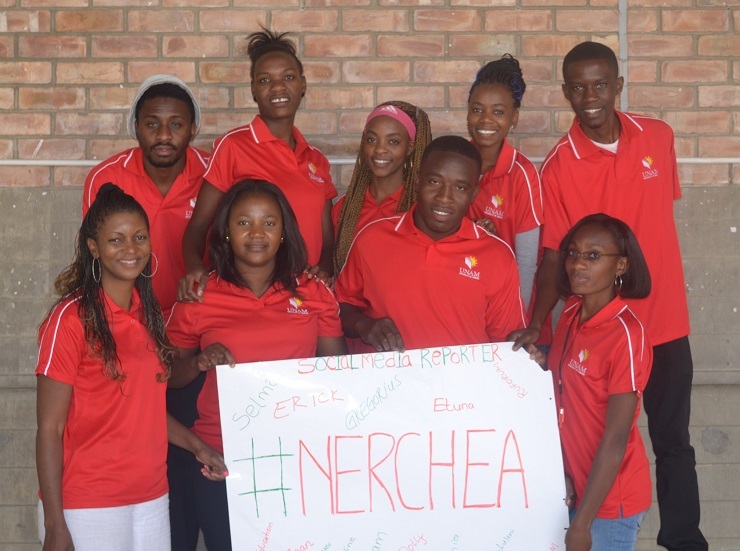 Click here to view the Social Media Profiles from Namibia.